A simple bread dough is a perfect medium for children to explore with. It’s easy to make using ingredients you can keep in your storecupboard and I find children always take great pleasure in using ‘real grown-up’ materials. 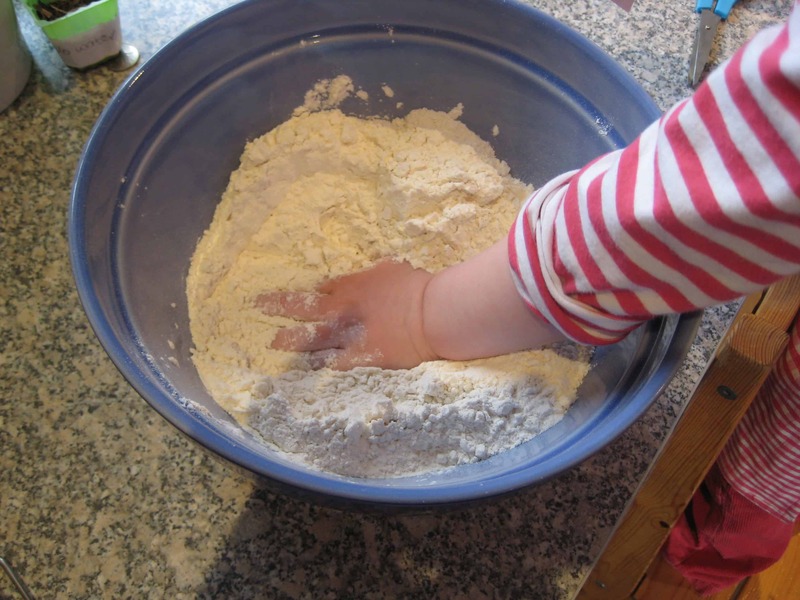 There are lots of ways you can use a bread dough to let your children play with counting, measuring, pouring, cutting. 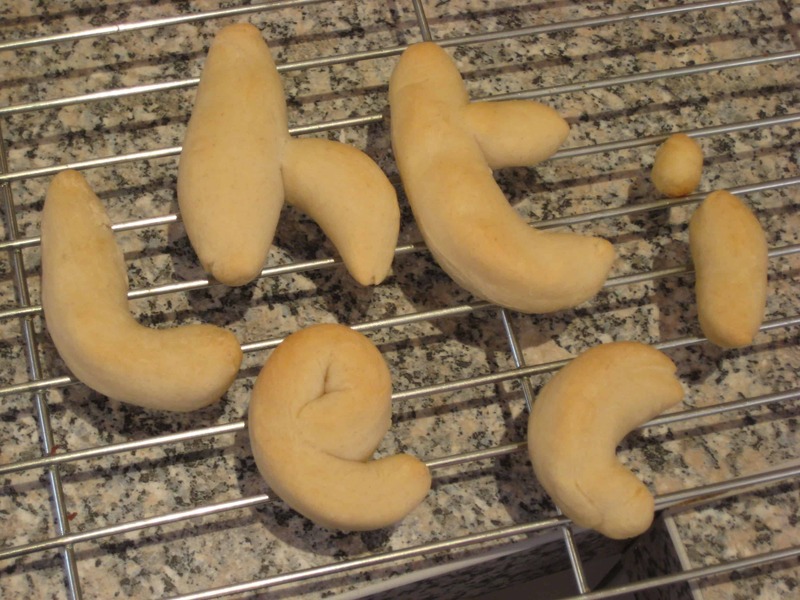 Today we’ve been teaching the alphabet with bread. 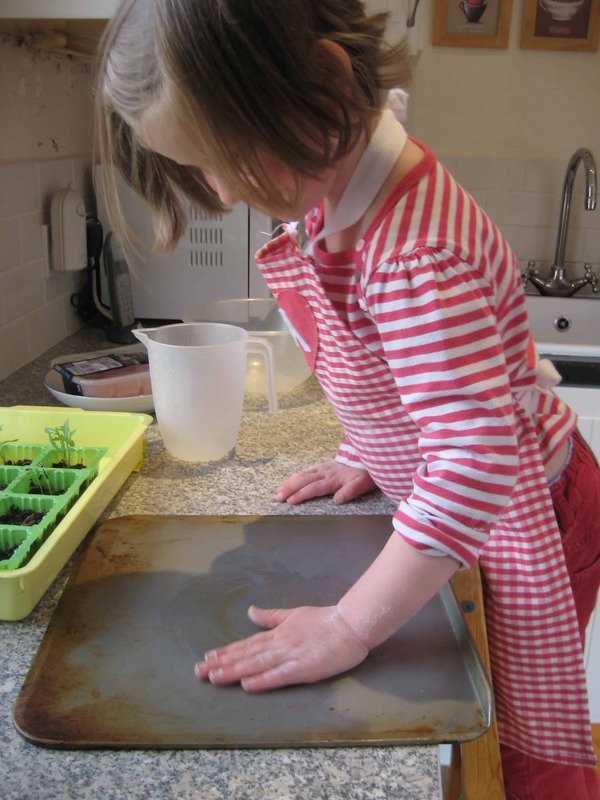 We’ve a recipe and a song to share with you. Weigh 500g of strong bread flour and a teaspoon of salt out into a big bowl. Little thought it felt very tickly. 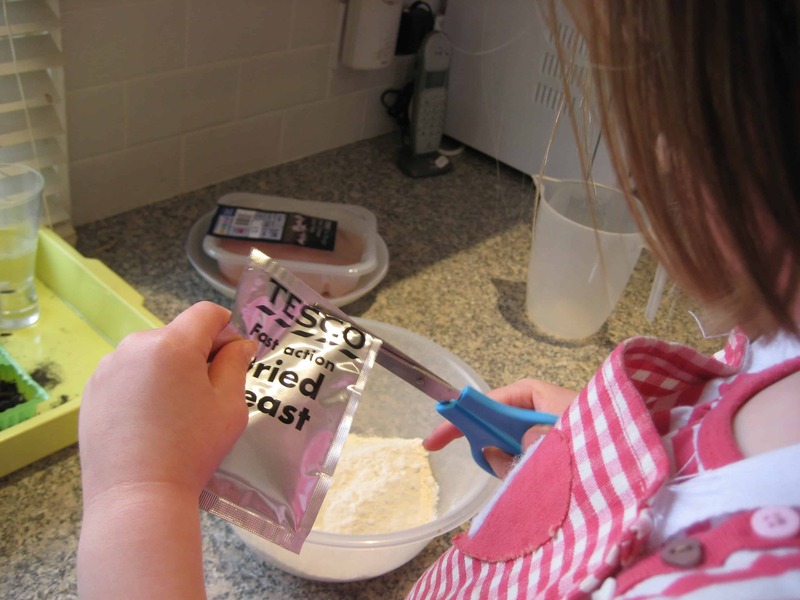 Practise your scissor skills to add a 7g sachet of fast-action dried yeast. 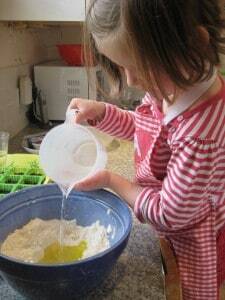 Pour in 300ml of warm water and a tablespoon of olive oil using good hand-eye co-ordination. 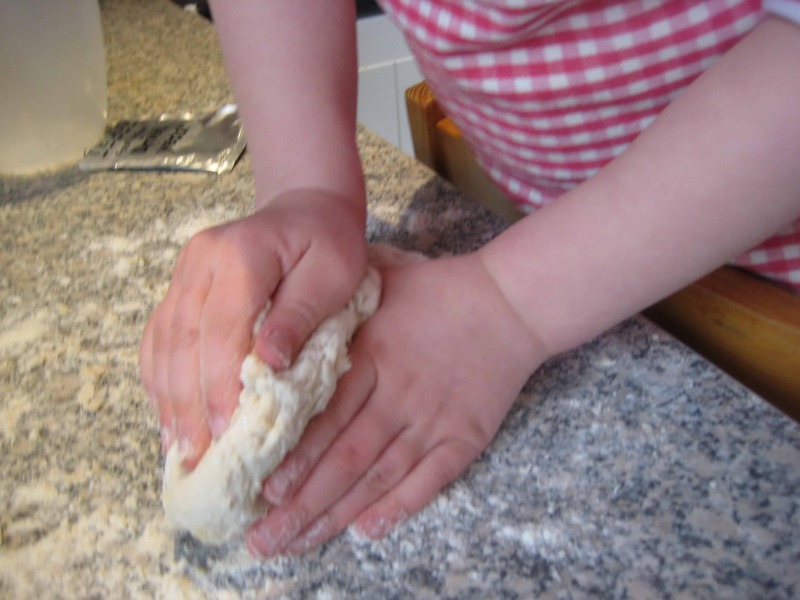 Little liked mixing the colours to combine all the ingredients into a ball of dough. Try out a different texture as you spread a little oil on a baking sheet. 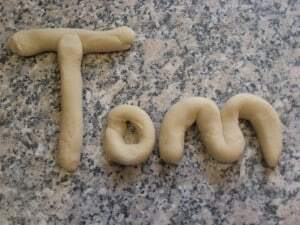 If you can spot the letters in your name you can eat them! 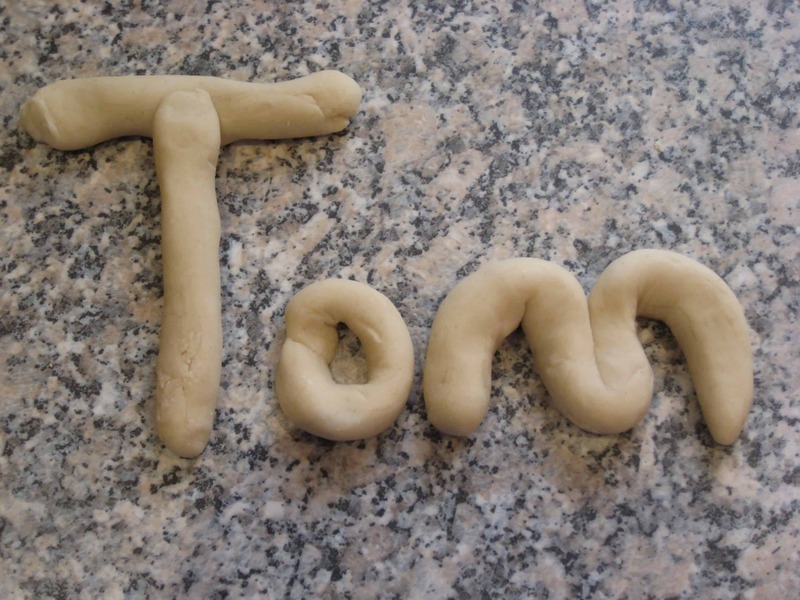 Lovely idea this though I’ve found that sometimes the letters become rather indistinct when the dough rises. 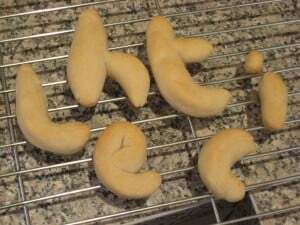 To avoid this problem I do something similar with a shortbread type dough, or a gingerbread biscuit dough – neither of them change their shape a great deal when baked. 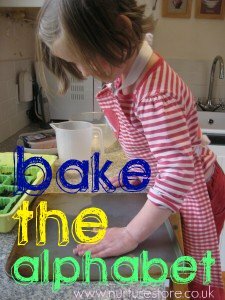 Love the idea of baking the alphabets. But I have one question for you are you much of a gardener? I got myself into a competition and I don’t know the first thing about gardening… Help please !! !